This map shows the southern sky as of 8:30 p.m. local time from midnorthern latitudes in late January. Lepus the Hare is below Orion, with Columba the Dove even lower in the sky. 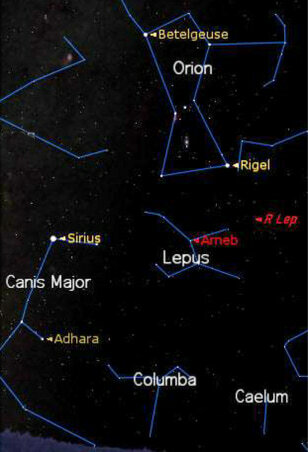 The bright star Sirius is to the left of Lepus.